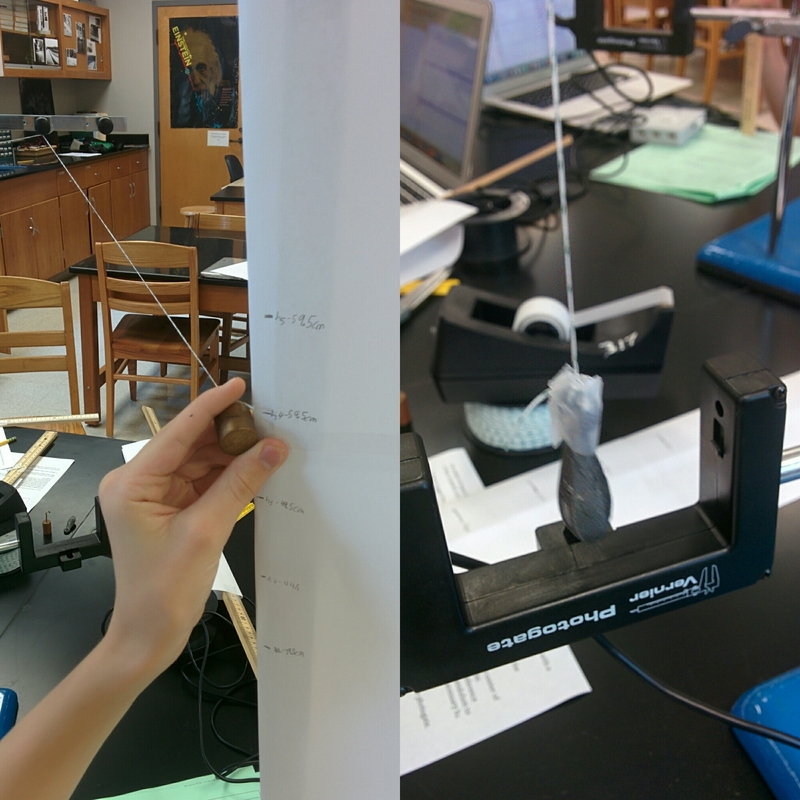 Tuesday: This is the conservation of energy lab that uses pendulums and photogates. We observed huge errors I’m unaccustomed to but the kids were great at describing sources of the error, so there’s that. Followed up with the Lewin pendulum video. Today, I put the lab first. I liked the result. Need to do that more often.